If you’re charged with updating the school record book for the Black Hills High School girls swimming and diving team, it might be in your best interest to keep track of things in pencil and not pen. It appears no benchmark within the program is safe. Over the last three seasons, the Wolves have set new program records in 12 out of the possible 13 events with only the 100 breaststroke escaping unaltered. “It really has been an incredible last few years for Black Hills High School swimming,” said head coach Henry Valz, who indicated the 100 breaststroke school, which has stood for approximately 15 years, should be challenged by a few current freshmen over the next few seasons. 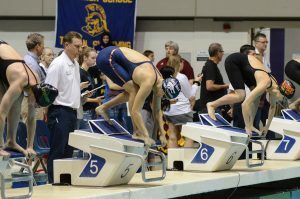 Despite featuring a small roster with just 14 swimmers, the Wolves made the most of their low headcount this season by setting new school records in both the 200 medley relay and 400 free relay at the Class 2A state championship meet at the King County Aquatic Center in Federal Way. Black Hills also received a third place from junior Emma Prybylski at the state meet in the 500 free and a fourth place in the 100 butterfly from senior Rylee Denney. The strong performances helped the Wolves place 13th overall in the 2A team standings with 69 total points. North Kitsap, which had state champions in a meet-best five events, claimed the team title with 277.5 points. The Vikings were followed by Liberty of Issaquah (230 points), Sammamish (226), Sehome (178), and Aberdeen (175). Black Hills finished eighth in the state last year, giving the program its top two state finishes all time over the past two seasons. The Wolves opened the state meet by having its 200 medley relay team of Prybylski, Denney, senior Kalli Bishop, and freshman Jessica Adams finish 12th in the event in a time of 2:00.85. The team set a school record in the preliminaries, stopping the clock in 2:00.68, which was more than 2 seconds faster than their seeding time. Blacks Hills later notched a new school record in the 400 free relay with senior Brielle Bryan joining Prybylski, Denney, and Adams to finish tenth in the event in 3:52.69. The Wolves posted an eighth-place finish in 2017 in 3:54.27, which had been the previous record. 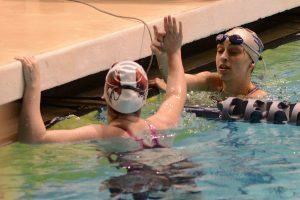 In addition to helping both relay teams put on record-setting performances, Denney also finished fourth in the 100 butterfly and 10th in the 200 backstroke to close out her high school career. Denney made it back-to-back top 4 finishes in the 100 butterfly. She finished third in the event as a junior in 59.36. At this year’s state championships see posted a time of 1:00.64. Prybylski also posted a pair of top 10 finishes in individual events. 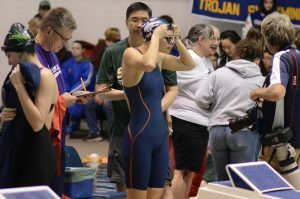 She registered a third place in the 500 free, covering the distance in 5:25.25. Liberty’s Alexa Hoeper won the event (5:09.09), while North Kitsap’s Briann Hoffman (5:19.21) was second. 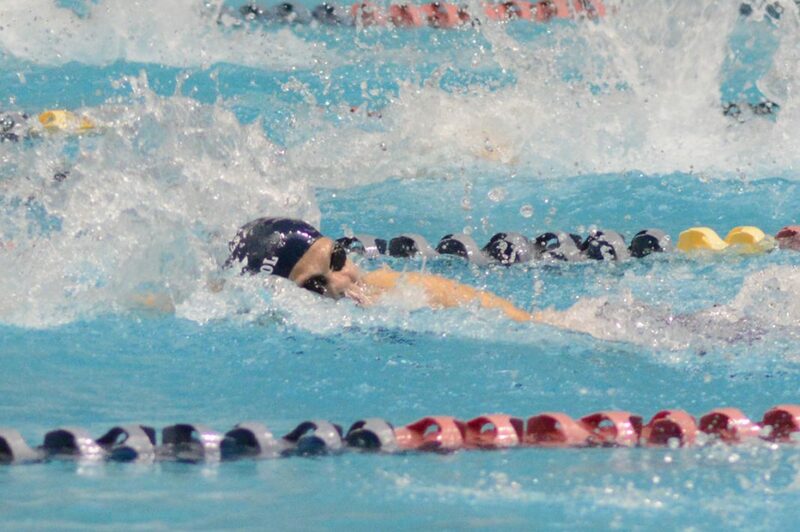 Prybylski would later finish 10th in the 50 free in a season-best time of 25.73 seconds. The state meet marked the final high school meet for seniors Bishop, Bryan, and Denney. The Wolves don’t appear to be slowing down any time soon next year as they will welcome back Prybylski along with the majority of the roster. Capital junior Camden Martin placed in a pair of events at the Class 3A state swim and diving championships, notching a fifth in the 100 backstroke and an eighth in the 500 free. Martin covered the 100 backstroke in a speedy 59.32 seconds. Bellevue’s Janell Rudolph won the event in an All-American Automatic time of 53.73. Martin also teamed up with Alexa Nooney, Dorothy Coleman and Katherine Lane in the 200 medley relay to place 12th in the event (1:56.22).